The battleship France was the fourth and last ship of the Courbet class and thus one of the first modern dreadnought battleships of the French Navy, which was completed shortly before the First World War. In contrast to the first sister ships Courbet and Jean Bart, the Paris and France 24 Belleville had boilers to drive the two Parsons steam turbine sets built under licence, each with two propeller shafts. The aim was to achieve an output of 28,000 hp and a maximum speed of 21 knots (39 kilometres per hour). During later test drives, however, the speed was slightly undershot. In order to counteract the increasing danger of torpedoes and such attacks, the armor of the ships' main armor was reinforced. The 99 metre long and 4.75 metre high armour protection was 2.35 metres above and 2.40 metres below the waterline and was up to 270 mm thick. The construction of the France began after the order on August 1, 1911, the launch on November 7, 1912 and the commissioning on July 15, 1914. After the commissioning of the ship some test runs took place, until the France was moved to the Baltic Sea to accompany the French president with the sister ship Jean Bart for visits in Saint Petersburg and other cities. After the political situation in Europe worsened and a war threatened, both ships were withdrawn from the Baltic Sea and ordered to their home port in Toulon. After the outbreak of the war, all four ships of the Courbet class were sent to the Mediterranean to monitor the ships of the German Empire there. After the declaration of war between France and Austria-Hungary, the ships were also used to prevent the departure of the Austro-Hungarian fleet. Besides supporting the Montenegrin army in firing at targets along the coast, France's main task remained patrolling between Greece and Italy. 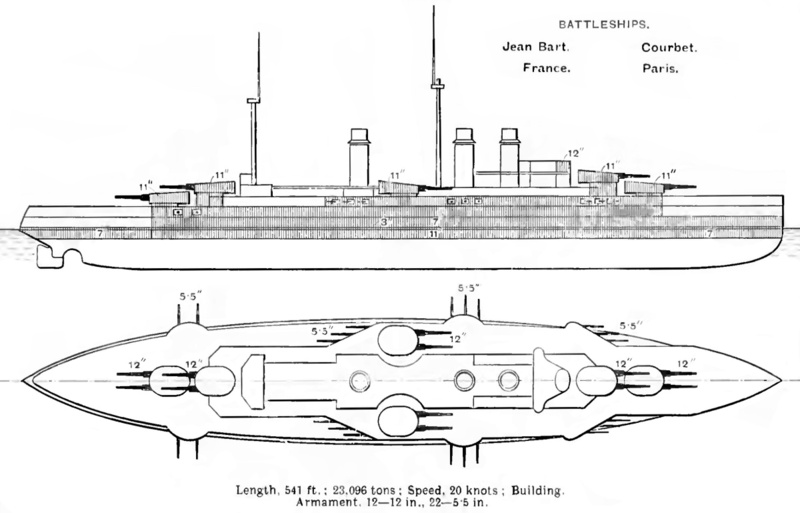 After the sister ship Jean Bart was torpedoed and severely damaged by the Austro-Hungarian submarine U-12 on 21 December 1914, the French battleships were withdrawn and deployed only in the southern part of the Mediterranean. 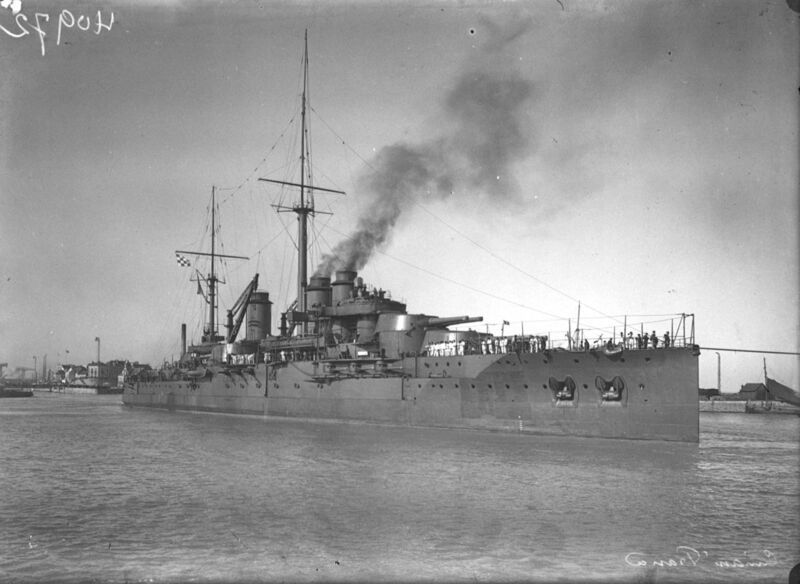 When Italy declared war on Austria-Hungary on 23 May 1915 and entered the war alongside the Allies, the Italian Navy took over the protection of the coasts, allowing the French warships to be withdrawn completely. From 27 April 1916, the French navy was also able to use the port of Argostoli on the Greek island of Kefalonia as a base and moved most of its ships there. Since the battleships were hardly used any more, parts of the crew were retrained on the submarines and used with these. At the beginning of 1917 the Greek island Corfu could also be used as a base besides Argostoli, but the increasing shortage of coal and the limited range of use of the warships became apparent. From 1918, the shortage was so great that the warships were almost no longer operational. The last year of the war was therefore mainly used for reconstruction measures and on 1 July 1918 the France was assigned to the 2nd battle department of the 1st combat squadron and remained there until the end of the war. After the war, France, together with its sister ship Paris, was ordered to the Black Sea to support Allied troops intervening in the Russian Civil War. Mutinies occurred on both warships in April 1919, after crew members sympathized with the Russian Bolshevists. On the Paris this could be contained, after the occupation was permitted to go ashore. On France, the situation eased only after both ships were ordered to return to their home ports. 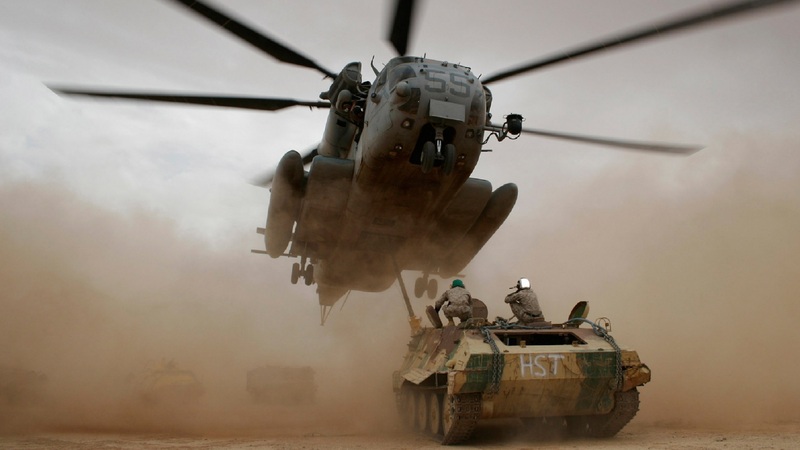 In the years that followed, France was involved in several manoeuvres in the Mediterranean. On the morning of 26 August 1922, France sailed in the Bay of Quiberon, on the northern west coast of France, to an undrawn seabed elevation. The hull of the ship was so badly damaged that large quantities of water ran into the interior. Although all of the ship's bilge pumps were used, it sank within four hours. 3 crew members died in the accident. The ship was abandoned by the French Navy and was later scrapped on site.